Don't you love coming across random things from the past? My Mom has been cleaning out her craft room, since she has not been doing a lot of quilting lately. She decided to go through her books and patterns; which means that I was given about 3 boxes worth to sort through. This is one of the treasures found among the group. At first, I thought that it was a photocopy of a book; but it turns out that it in fact is the book itself. 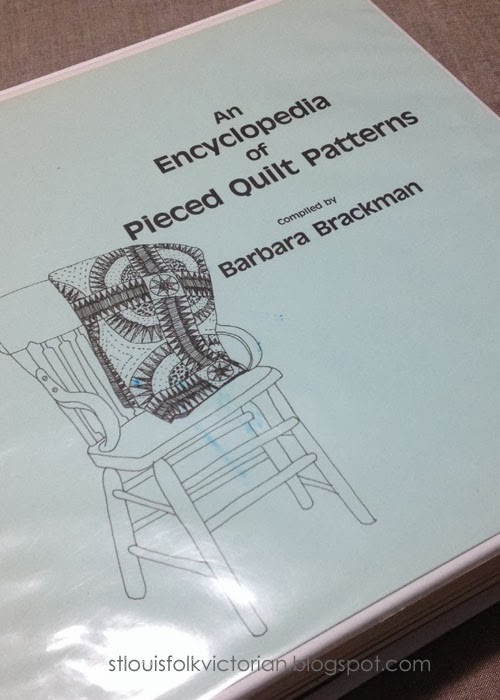 It is an out of print edition of the "Encyclopedia of Pieced Quilt Patterns" by Barbara Brackman. 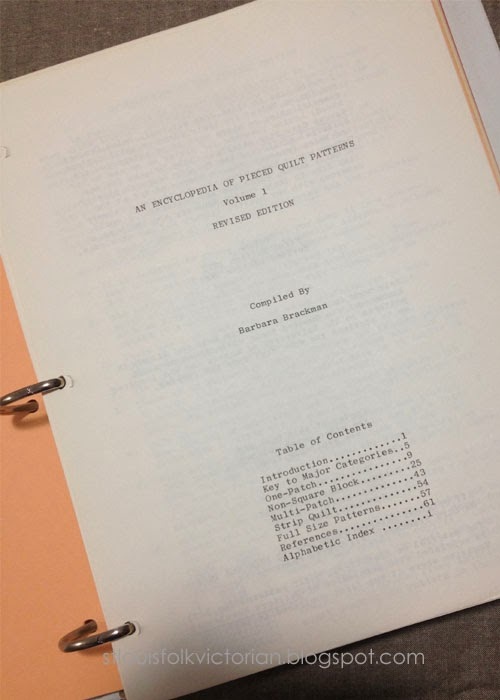 And, yes it actually is compiled in a 3-ring Binder. 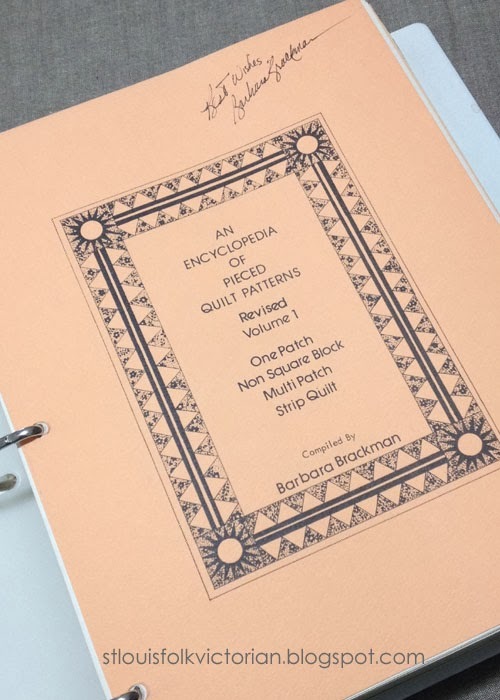 It is even autographed by Barbara Brackman herself. You can pick up a more current edition, albeit it used from Amazon for about $120.